Just because his leg needed to remain immobile for six weeks doesn't mean The Shark had to. 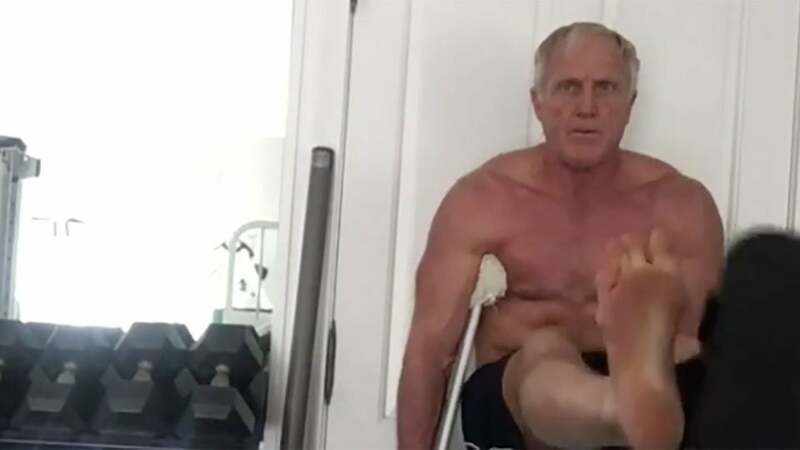 A torn ligament in his left leg isn't about to stop Greg Norman from getting in his intense workout sessions. The Shark tore an aponeurosis in his leg after an injury sustained in a casual tennis match three weeks ago, and was put in a cast to keep the muscle (likely his soleus) immobile for six weeks. But just because his leg was immobile didn't mean Norman as a whole would be: check out this Instagram video he posted doing leg lifts -- while balancing on his crutches. "Just had to improvise," the post reads.